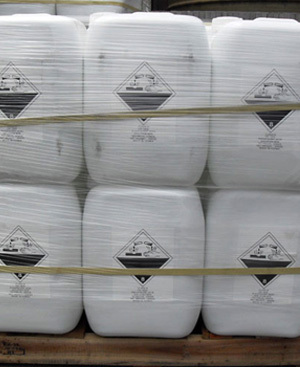 We are a known Phosphoric Acid (85% / 75%) Exporter, Importer, and Supplier in India. Phosphoric Acid, also known as Orthophosphoric Acid, is a mineral (inorganic) acid having the chemical formula H3PO4. The term Phosphoric Acid can also refer to a chemical or reagent consisting of phosphoric acids, usually orthophosphoric acid.